Pretty to look at with vibrating green colours, herbs add lot of flavour, aroma and colour to any food. Few pretty green leaves floating on soups and carefully placed on top of salad or curries, they do brighten up even the simplest food. But does that mean their sole purpose it to serve as a garnish which you can pick and keep aside while eating? Ayurveda, an ancient science of healthy living, has always emphasised on using fresh herbs everyday. Knowingly or unknowingly, we have been following this ancient wisdom on day to day basis. Any Indian kitchen is incomplete without herbs stored safely in a refrigerator or pots of fresh herbs sitting pretty on kitchen windowsill. Herbs are indispensable in my kitchen and I usually end up adding extra handful of herbs in almost all the food I cook. When I thought about different herbs used in everyday dish, I realised there are just few which make regular appearance. Curry leaves, coriander, mint and fenugreek are the most important ones that are used in almost all the recipes and basil, chives, rosemary and thyme makes few guest appearances now and then. Given my love for herbs I felt I am yet to discover the true potential of every herb which is easily available throughout the year. So here I am, on my way to taste and discover more herbs used in day to day cooking. My first stop was at our regualr Asian grocery store to buy fresh bunch of Dill. Dill is more commonly known as Dill Weed and has feathery appearance. The fresh dill leaves has fragrant lemon and anise aroma and it tastes like mixture of parsley and anise. High in iron content, dill is available as fresh, dry and in seeds form. Dill is also one of the main herbs used in Karnataka in many recipes. So it was a safe bet to start my journey of rediscovering herbs. One the most loved food which features dill as the main ingredient is Akki Rotti, pan fried Indian bread made using rice flour. I have posted my mother’s recipe of Masala Akki Rotti sometime back and it was one of the most loved and referred recipes on Monsoon Spice. It is gluten free and also vegan and more importantly very healthy and delicious breakfast idea. 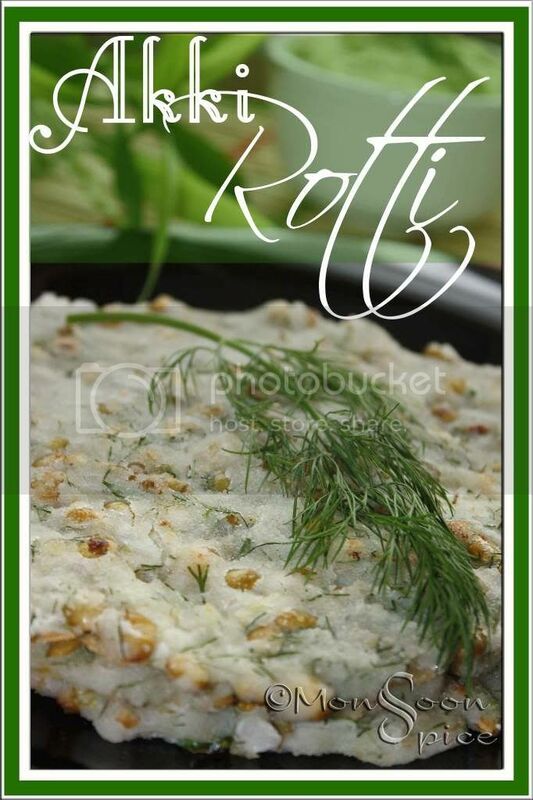 First time I tasted Akki Rotti made using Dill and Avare KaLu/Surti Papdi Lilva was when I was doing my post graduation in Bangalore. 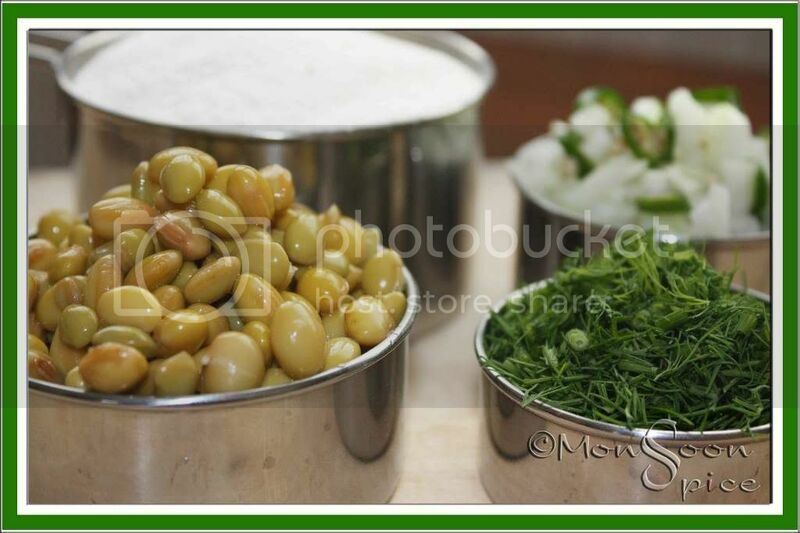 Bangaloreans love Avare KaLu and use them in many recipes. Palya, Saaru, Sambar are the few to name but Akki Rotti with Avare KaLu tops my list of favourites. Coconut, avare kaLu, green chillies, onion and dill mixed with rice flour and directly patted on hot griddle was instant hit with me from day one. Crisp Akki Rotties with little note of sweetness from coconut and lilva, crunch from onions, citrus-y flavour from dill and touch of spiciness from fresh green chillies is one tasty affair which is hard not to notice. Served with just a dollop of freshly churned Butter or Coconut Chuteny/Brinjal Palya/Gojju, this is one meal that is hard to resist. Serve this to anyone who is not fond of dill and see them falling in love with it. Add finely chopped onion, green chillies, dill, fresh/frozen coconut, surti papdi, cumin seeds, oil and salt to taste to rice flour and mix well. Now add warm water, little at a time, and mix well to form dough. This dough should smooth and easy to pat directly on tawa/griddle. Alternatively, bring 2½-3 cups of water to boil and add mixed dry contents to it. Give it a gentle stir. Switch off the flame and cover the vessel. When covered, the steam from hot water helps in getting smooth dough. When dough is cool enough to handle, add oil to it and kneed the dough for few minutes. The best way to make these rotties is to pat them directly on hot tawa/griddle. Trust me, its much easier than it sounds. Take large lemon sized balls and place them in a centre of tawa. Pat them with fingers to form a ½ cm thick circle. Place that tawa on flame. Add little oil or ghee to the edges of rotti. Cover and cook the rotties for about 3-4 minutes on medium heat till brown spots start to appear on its surface. Flip it around and cook for another minute or two. Invert the tawa/griddle and place it under cold running water for few seconds to cook it off slightly before you continue to proceed with patting the dough. Dip fingers in cold water to help in patting thin roties. Serve these rotties with any Coconut Chutney or Gojju or Playa or Badane Ennegai and enjoy. I served my Akki Rotti with Dill & Coconut Chutney which I learnt from my Amma. Surprisingly Dill in this chutney tastes little bit like Mango chutney. Don’t you believe me? Then try this for yourself and see. This is my entry for FIC-Green, a unique event by Sunshinemom. Place all the ingredients in a mixer jar or food processor and grind to smooth paste adding little water at time. Serve with Dosa, Idli or Rotti and enjoy. Not too fond of Dill? Replace it with coriander leaves in both the recipes for different flavour. Keep a bowl of cold water next to you while patting the roties on tawa. This helps in even patting. yum - i love akki roti. we make it at home often, but don't always get those "mochai" beans - love them. Dill is still not part of my cooking. I remember we used to eat it a lot during our hostel days. Hubby hates it :((. But he loves avrekalu, so I will have to give it another try. akki roti looks so delicious..i loved the dill coconut chutney too. 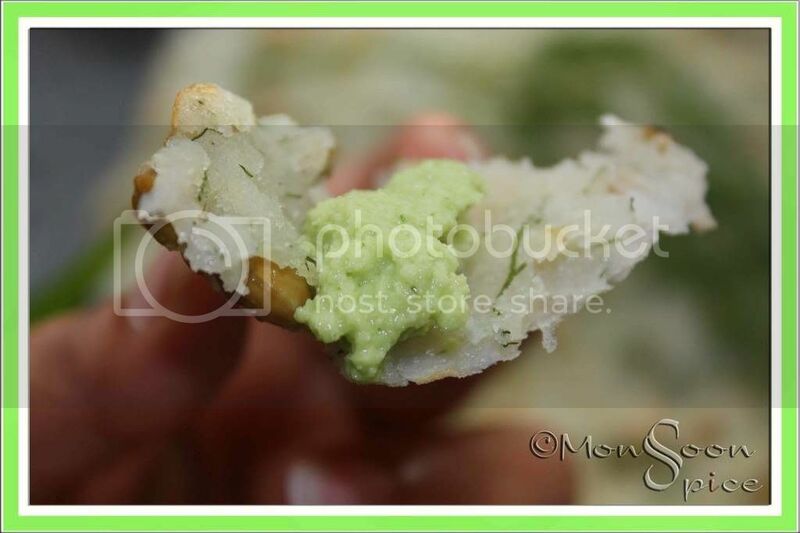 How can you torture me with that picture of a piece of roti and chutney. Thanks for the wonderful post and the chutney especially is bookmarked,I have a bunch of dill waiting for their turn. That was a lovely use of dill ! I shape the rotis on a plastic sheet / butter paper, invert it and put it on the tawa, and peel the paper right off. Where are u put up in london? yum! one more t o my to do list! actually my mom does this with channa dal...will try ur way! I love Akki roti.I tried my hands on akki roti for the first time by following your another akki roti recipe.Since then,i am a fan of akki rotis. I am definitely going to try akki roti with dill and avare kaalu. rotti looks super sia...chutney is new to me..
Akki Roti looks really good. Have to make it sometime. I have to also make a note to buy dill next time and try it out. Gorgeous, Sia. Dill has the most amazing flavor and it truly turns any dish into a special one. lovely roti. i am not too much of a fan of dill. but this idea of using it in a roti, sure sounds intresting. pictures look really good. Hi Sia, herbs are so healthy, and like you mentioned, I normally use them only for garnishing or making chutneys, especially coriander and mint leaves. 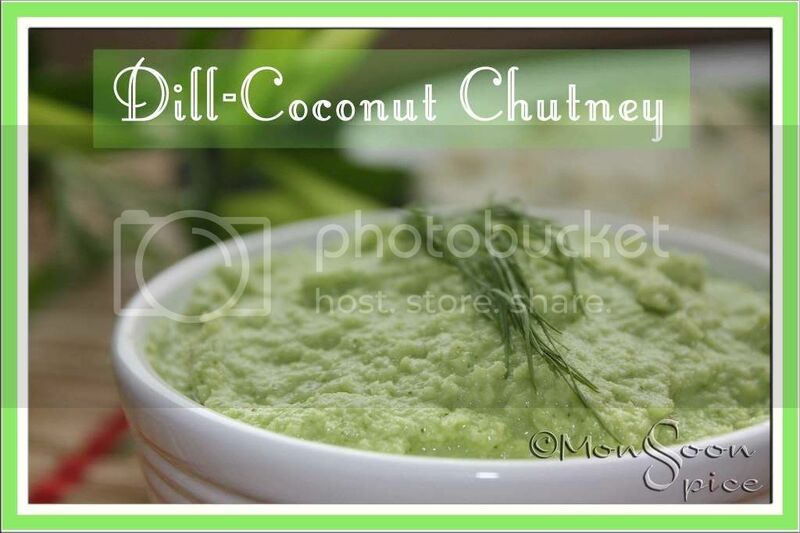 I do not think I am familiar with Dill (it does look like the leaves that are used during Ganesh Puja? 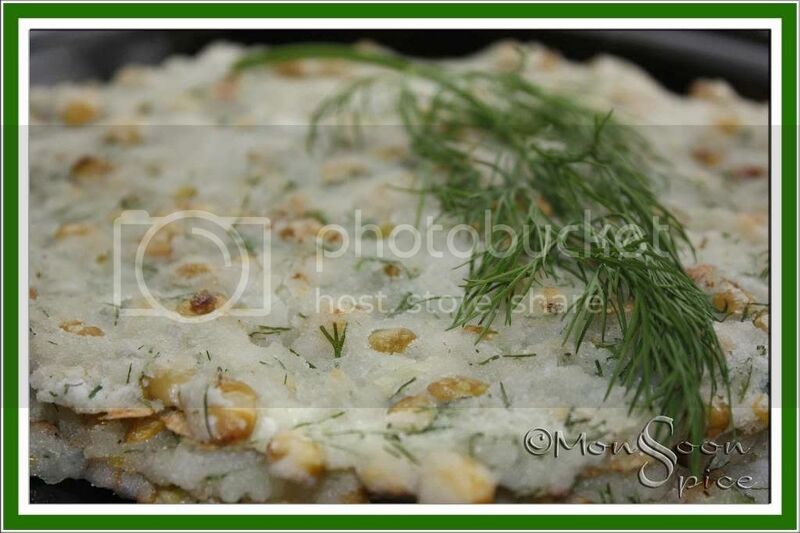 ).Google gives me Sova/Sowa as the Hindi name, and images show sounf/fennel seeds and leaves. Whatever it is, the dish is amazing, and I love the pictures. The chutney looks perfect, and I wish I could taste the combo. wow this is sooooo tasty. I already bookmarked ur one type of akki roti now this is second one :). I love akki rotti! Haven't had the avarekai one in ages! I also add a little sour yogurt to the dough sometimes and just mix the rice flour & other ingredients in cold water. Sapsige soppu & avarekai combi sounds divine! Will try that for sure. First time in your blog. 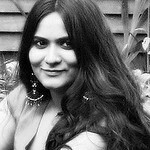 Nice blog having diffrnt stuffs and lovely photos. Sia the photos n description hv left me drooling! Thks for ur lovely wishes too! what a delicious roti Sia! Dill chutney looks great too. Akki roti looks really yummy. I am yet to lay my hands on Dill. I am wondering what is Surti Papdi Lilva? Sia, this is just too tempting and such a unique dish..the pics are awesome as ever...i m kind of drooling right now. My first visit here. Presentations are excellent!